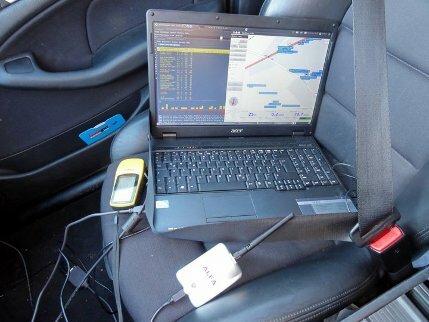 Furthermore you’ll want to install GpsDrive 2.11 or later. Get the deb packages here: http://download.osgeo.org/livedvd/data/gpsdrive/lucid/ Be sure to literally follow the installation instructions in the README file or you’ll end up in dependency hell. 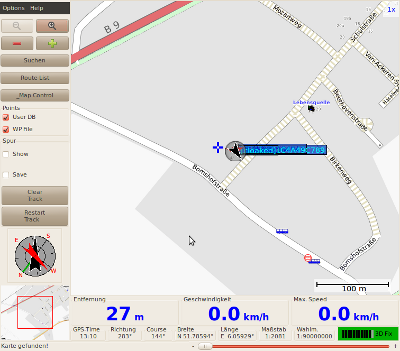 Verify the functionality by starting xgps. It should report all available satellites and your current position. 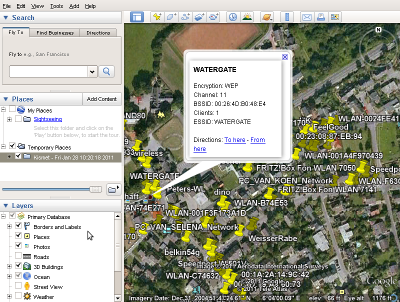 Start Kismet and GpsDrive with the Python script running and the wireless access points should appear on the map. Use your creativity to extract more interesting information from the Kismet log files.